In our previous posts (part 1 and part 2) on time management we have made the distinction of distinguishing time management from event management and energy management. That still doesn’t get away from the fact that there continues to be an ever increasing variety and amount of ‘stuff’ (however you define it) coming at us every day. We have looked at the issue of data overload, but maybe the bigger question is how do I decide what to do and what to defer or even not bother with? The grid illustrated was first introduced to me by Steven Covey in his classic book ‘The Seven Habits of Highly Effective People.” It is a very helpful means of deciding between the huge variety of choices I am presented with every day. What it shows is that in essence we can spend time in one of four ways. The two main factors that define any activity are urgent and important. When we say urgent we mean it requires our immediate attention. An example might be a ringing phone or that task your employer suddenly gives to you that needs to be finished by the end of the day. Urgent matters are usually right in front of us in some way. Often they can be easy, even fun to do. The problem is though so often, in the grand scheme of things, from a long-term perspective, they are unimportant. By contrast importance has to do with results. If something really is important then it contributes to what really matters to you, to your values or your highest priorities. We react to urgent matters. Important matters that are not urgent require more initiative and we need to be intentional about. This becomes critical because if we do not have a clear idea about what is truly important to us, of the results we desire to achieve, it becomes incredibly easy to get diverted into just reacting to the urgent. The grid above illustrates 4 quadrants of time management. The first quadrant is both urgent and important. These activities are usually described as crises or problems. We all have some element of quadrant I in our lives. But for many people this quadrant can dominate their lives – they go from one crisis to another or become heavily deadline driven. 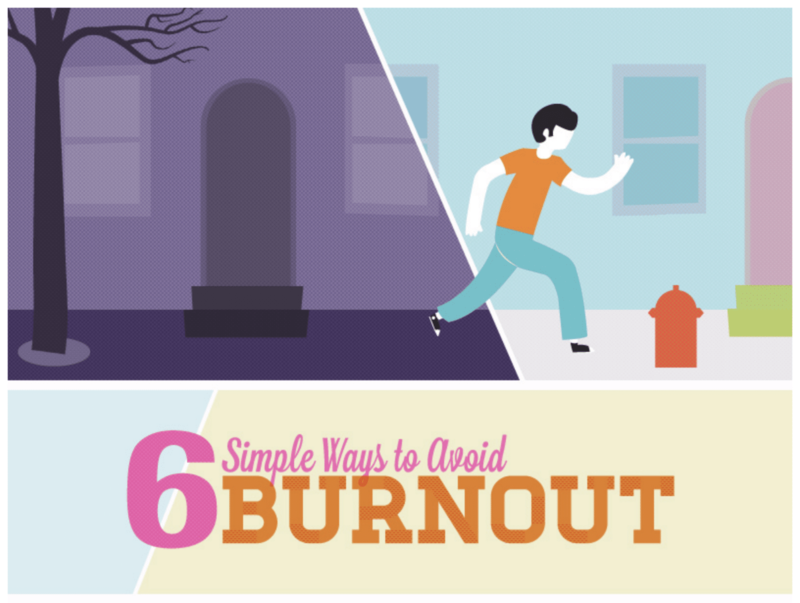 Living like this can take its toll in terms of stress and burnout. The temptation is to find relief by escaping into the not important and not urgent activities of quadrant IV – which is basically time wasting. 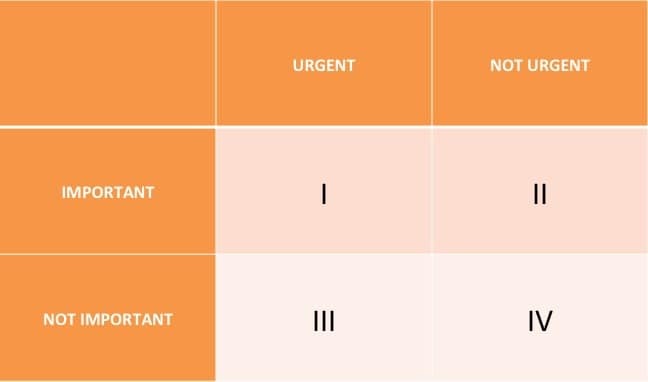 There are other people who spend a lot of their time in ‘urgent, but not important’ area of quadrant III. They spend most of their time reacting to things that are urgent, assuming they are important. But the truth is the urgency of these matters is often based on the priorities and expectations of others. Quadrant II has been described as the heart of effective personal management. It is about those things that are not urgent, but are important. What are some examples? Let me try to make it personal. Stop and think to reflect on the following 2 questions that Covey asks in his book? 1. What one thing could you do (that you aren’t doing now) that if you did on a regular basis would make a tremendous positive difference in your personal life? 2. What one thing in your business or professional life would bring similar results? Whatever it was, it is almost certainly a quadrant II activity. Something like building a close relationship or friendship, planning for the long term, exercise, preparing for something . It is all those things we know in our heart of hearts we need to do, but somehow never get round to it because it never seems urgent. The law of process that we have looked at previously talks about the power of incremental change. Quadrant II activities when developed over a long period of time can be incredibly powerful. As the productivity expert, David Allen has said, ‘small things done consistently create major impact’. How does this resonate with you? What is it you have kept on putting off doing? Where could you find time to make a start? Please feel free to add your comment below. For 12 years when I was in the RAF, most tasks were a mixture of quadrant 1 and 2, it was relentless pressure and deadlines. Thankfully I was young so I seemed to cope with it better. Since I changed jobs I am mostly in quadrant 2, but there are the occassional ‘fast-balls’. In fact, any task that my boss gives me I attend to straight away because then he’s happy, so I will be looked upon as ‘proactive’, which will look good in my annual report. Yesterday I had to make an ikea cupboard, not something I was looking forward to, but all my daughter’s clothes were on the bed and my wife needed to put them away (she is slightly OCD about tidyness), so it was important that I built the cupboard, the result of which is that my wife was happy and it was one less task for me. Today I put all the cardboard boxes from the cupboards into my car to take to the tip, something I could’ve put off (I very much thought about leaving it until Sunday), but now that they’re in the car I just have to physically take them to the tip and that’s another task crossed off, so I’ve learned that it’s better to just ‘get it done’ rather than procrastinate, because you psychologically feel ‘lighter’ when it’s out of the way and out of your head. Until the next task!!! Thanks for the personal example Karl. Your example also illustrates how doing the tasks we need to do takes away the psychological drag we can feel when we do procrastinate. The other issue is of ensuring you have the energy to do what needs to be done. There will always be more to do, but its also about finding joy and satisfaction for a job well done each day. Great to have your illustrations to reflect on.